This week, we’ll start the second half of the Banks Brothers’ Brides with His Jilted Bride. 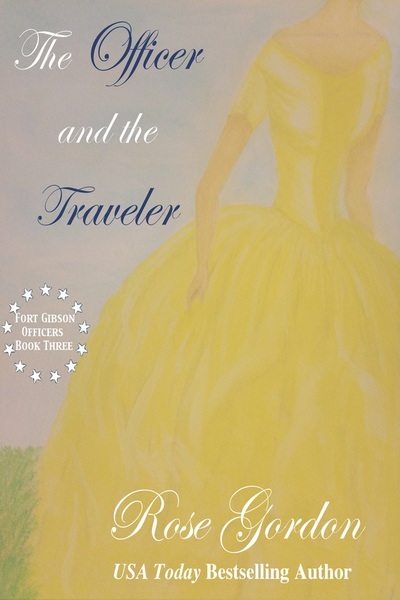 The stars of this book is Elijah Banks as the hero and Amelia Bryce as the heroine. A little set up on this scene: Amelia has found herself embroiled in a scandal and as a result, she’s being forced to marry Hiram, Lord Friar. Only he doesn’t show up for the wedding so in rushes our dashing hero who does what any Banks man would do: offers to marry her to save her from any further humiliation. Elijah Banks clenched his hands into twin fists and willed himself to stay seated. He shifted on the hard bench and took a deep, calming breath. It had only been forty minutes. Lord Friar could still arrive. The silence that filled the room seemed louder than the crowds who gathered each night at Vauxhall. Or mayhap that was just the steady tattoo of his blood pounding in his ears. “Do you think he woke up this morning and realized he was about to marry a spinster?” one of the ladies sitting in the pew behind him asked with a slight giggle. Elijah bridled at her remark. Amelia might be four-and-twenty, but she wasn’t what he’d consider a spinster. Besides, if anyone was getting the bad end of this bargain, it was Amelia. At least she was young and attractive. Hiram, Lord Friar was older than her father; and though Elijah had never actually seen the man, as he mixed in circles that even Elijah wasn’t welcome in, the man’s reputation of being one of the worst sort of no-good, lecherous scoundrel preceded him. Henry lifted his eyebrows at him and Elijah jerked his gaze away. In a moment such as this, he wished he wasn’t a twin. For as odd as it might seem to others, he and Henry had the ability to finish each other’s thoughts and sentences with no difficulty, and with something as simple as an exchanged look, they could communicate every thought and feeling they had to the other. And right now, he didn’t want his twin to know a single thing that was racing through his mind. “Only five more minutes, then I can claim my winnings,” another lady said behind him. The hair on the back of Elijah’s neck stood on end. What was she talking about? He was saved from asking when one of the lady’s companions inquired. “You placed a wager on the wedding today?” the lady who must have been Griselda said in shock. A little sputter of laughter passed one’s lips and Elijah’s temper flared. Amelia had been his friend as long as he could remember and he’d be damned if he’d continue to sit idle while she was mocked behind her back. He shoved to his feet. “Excuse me,” he murmured, pushing his way down the pew and to the aisle, where he dodged a multitude of curious looks on his way to the back of the sanctuary. Closing the large oak door behind him, he exhaled and swallowed. He could do this. He needed to do this. He owed it to Amelia. He twisted his lips and considered knocking again, then dismissed the idea. She was in there, he was certain of it. Quiet so not to startle or upset her, he turned the knob and opened the door. “Amelia,” he said, uncertain if his word was a question or a statement as his eyes fell over her quiet form. She half sat, half lay on a floral settee that blended into the equally flowery wallpaper, wearing one of the fluffiest dresses he’d ever seen. Her shawl lay in a little pile of white silk next to her, which was exactly where it should be, not draped around her, covering up her delicate shoulders or the tops of her luscious breasts. He swallowed. She’d always been a beautiful young lady, but just now she was absolutely breathtaking as she sat there and idly twirled a fallen lock of her silky, dark brown hair. He found an empty chair from across the room and pulled it over to her so he could sit beside her. At least when they were both sitting, the height difference between her petite five foot frame and his towering five foot-eleven didn’t seem so noticeable; and that was much the way he preferred it: equal. “I should have known he’d do something like this,” she whispered. “I’m sorry,” Elijah whispered just as softly as she’d spoken. No, but it is my good fortune, because now I won’t even have to halt a wedding and pray your answer will be yes. He shoved the thought from his mind. If she truly wanted to marry Lord Friar, he’d have stepped aside and blamed himself for taking too long to tell her how he felt. But since he knew as well as she did that a match between Amelia and Lord Friar would be the equivalent of a death sentence, he’d come today to make one last appeal. Not to her father, to her. Fortunately, Lord Friar’s absence had afforded him an opportunity to offer her marriage without the same risk of scandal or rejection. He hated the bitter taste that word put in his mouth, but it didn’t change the truth of it. Amelia was no longer the simpering miss she’d once been around him, talking of love and marriage to him. Instead, she seemed guarded around him and spoke as if those sorts of feelings no longer existed. “Nobody has to know he jilted you,” he said, reaching forward to push the hair sweeping across her forehead behind her ear. “Acting?” she said, her eyes narrowing in on him. “Fell for what?” she burst out in hysteria, presumably due to her current situation, lacing her voice. “You’re jilting your groom,” he said evenly, meeting her eyes. Amelia’s jaw would have hit the end table next to the settee had she had the mouth of an ostrich. Elijah Banks was offering her marriage as a way to escape a scandal? “I knew it was you, you scoundrel!” She clapped a hand over her mouth. Had his question been asked because he loved her, she’d have dissolved into a watering pot on the spot. But it wasn’t. Well, perhaps it was, but not love born of a romantic feeling; but rather that of a friend. A pang of sadness pierced her heart. Elijah was the only gentleman she’d ever wanted to marry. Since she was a young girl running around his parents’ estate when spending summers with her aunt and uncle, she’d fancied herself in love with Elijah. He was the reason she’d turned away any gentlemen who wished to court her, hoping one day he’d see her as more than a friend. How unfortunate he never saw fit to feel the same for her. She inwardly flinched at his confirmation: she was just a friend. 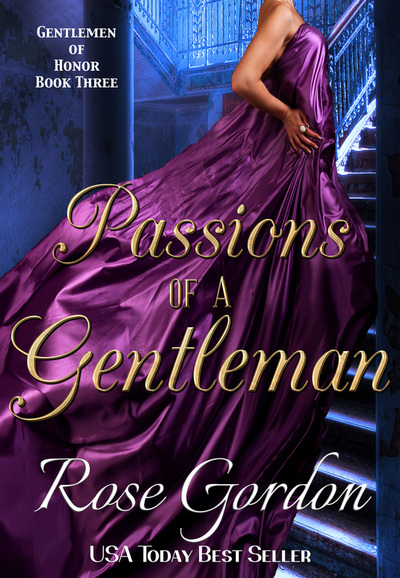 She knew that of course, he’d told her for years he was only her friend and had even gone so far as to help her find another gentleman to give her attentions to. Gently, of course. He’d never been cruel about her feelings or dismissive of her as a person, just the sincerity of a young girl’s feelings. But try as she might, she couldn’t fall out of love as easily as she’d fallen in. Only now, she didn’t dare let him or anyone know the truth. He wanted to be her friend and that’d have to be good enough. “But what if I have a secret?” she challenged. A lead weight lowered on her chest. He might say he didn’t care about her secret, but how would he feel in nine months when she presented him with a child that wasn’t his? Or even sooner when he went to take her innocence only to discover it was already gone? Amelia nearly laughed. “Your mother doesn’t play matchmaker, Elijah.” She played the role of confidant and voice of sanity to perfection, but never once had Amelia caught Regina Banks, the dowager baroness, playing matchmaker. “No.” But that still didn’t mean she wanted to climb out a window. “Wonderful,” she muttered as he threw his left leg over the window sill, then his right. Had she a heavy object at her disposal—and not been in the middle of escaping what was sure to be the scandal of the season—she’d have brained him right then and there. 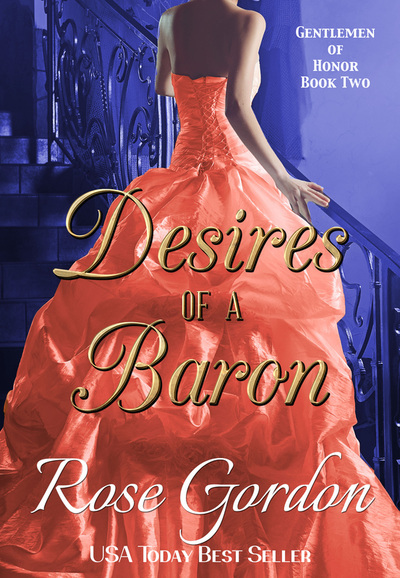 With as much grace as her heavy satin gown would allow, she made her way to the window, pulled her skirt up as far as she could, and then threw one stocking-clad leg over the windowsill. And that’s as far as she got. 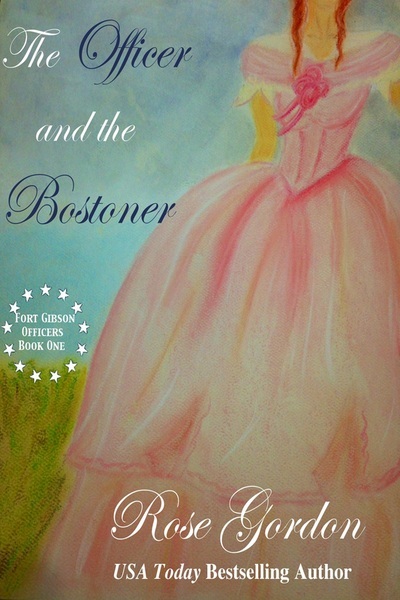 Between the heavy skirts and the voluminous petticoats underneath them, she couldn’t move. “Just admiring the view,” he said with a wink. “Promises, promises,” he muttered, coming up to her. If she honestly thought he was genuinely interested in seeing her naked body, she’d be flattered by his staring and excited by his statement. But she knew better. He was just enjoying the fact she was stuck in the window! He walked over toward her and reached his hands up inside her skirt to find the ties that would release her stays. The bare skin of her thighs burned at the feeling of his gloved hands brushing them. “Just cut them,” she blurted. “How charming,” she said under her breath. She nodded as nervous excitement coursed through her. It was bad enough she’d been jilted today. It’d be even more awkward if someone were to enter the room at this very moment and see her holding her heavy skirts up so Elijah Banks could reach in through the window and cut her stays away. If her bridegroom not showing up wasn’t enough to make her a laughingstock already, this particular situation would get her name whispered behind fans for generations. The sharp sound of cloth—not just any cloth, but the cloth under her gown—being torn sent chills up her spine. Chills of excitement or danger or uncertainty, she might never really know. She turned and he continued cutting the fabric until suddenly the sound of fabric-covered metal hitting the wooden floor floated to her ears. Without hesitation, she leaned out the window, wrapped her arms around Elijah’s neck and let him pull her out of the church and away from the public shame and embarrassment she’d be condemned to as a jilted bride. 1. The Officer and the Bostoner is currently with Proofreader #2. This morning, it came back from the first proofreader and after I accepted her changes and cough, cough made a few modifications to two parts, I sent it off to Proofreader #2. This is crucial as I alway seem to create two typos when fixing one. At this point, when it comes back the only thing I plan to do is fix the formatting. Then I’ll be done touching it. It’s been a LONG time since I’ve had a book done and ready to go so early, however, I still plan for a late June/early July release. My goal is to have the next one in the series completed by June 30th and into editing in July for a late August/early September release. So putting them out two months apart, rather than three. I’m on track so far with more than 21,000 words. Yesterday, I wrote 3,700 in the book and today 3,200 (so far). So I’m doing good to reach that goal. Two years ago, I realized that I was going to have a significant time gap between my first series and my second, so I thought I should write a standalone to go in between the two. I got about 6,000 words in and abandoned ship. It was moving along at first, then completely stalled out. I didn’t really have time to worry about it since my #1 priority was to get the Groom Series done (there were still only three of them to be written at the time, but only two were done…). After I added Edwina and Wallace’s book, I briefly opened this other up and thought it would be where I picked up. But I wasn’t feeling it, so I decided to do an American book. This is where the Officer series idea came in. I started on it and as you all know, things got in the way, so somewhere in the 15-18,000 word range, I put it away and started on the Banks Brothers’ Brides. 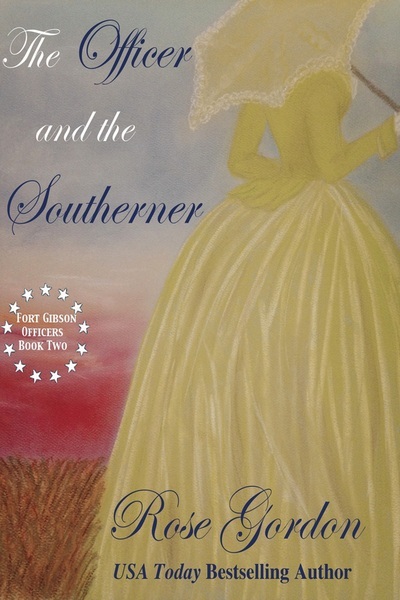 Those are now done and out and I finished The Officer and the Bostoner, so on a whim, I opened this other back up and am writing it at the same time as The Officer and the Southerner. We’ll see how it goes. My daily goal is 2,500 words for each story each day. In the morning, I write about America and in the afternoon, I’m back in England. The first one is a bit further into the story so the writing comes a little easier as I have things pretty well figured out by now. The other one is a little slower. So far I’ve met or come close to my word count goals. If things stay on schedule, this book could be done the first week of July… I caution you though, I’ve tried to write two books at once before and have ended up tossing one over in favor of another. Be warned. If I’m able to finish them both about the same time, I’m thinking I’ll release them alternately: American, Regency, American, Regency, etc. This book was originally set to be a standalone, but I’ve found a way to make it into a series, so I’ll probably do that with it. And if not, I guess I can always get halfway and bury it under my bed again. So…until I know without doubt that it won’t go back into storage on my computer, I’ve shied away from a synopsis or cover (that might also be because I cannot decide on a title, but shhh don’t tell anyone). 3. Her Sudden Groom will be my next audiobook. There was one final change that will be done this afternoon, then it will be under inspection and made into an Audiobook soon. Jilted will be after that, then Reluctant. The MOTHER of all things SCANDALOUS (well, just three daughters…)! I always knew the mother of the three scandalous sisters: Brooke, Madison and Liberty was forward, stubborn, determined, and all for breaking any rule she could. Now I know just how much! Two weeks ago, I announced that the calm Regina and blunt Edward, cast of, His Contract Bride had won the Silken Sands Self-Published Star Award (which is a readers choice award). 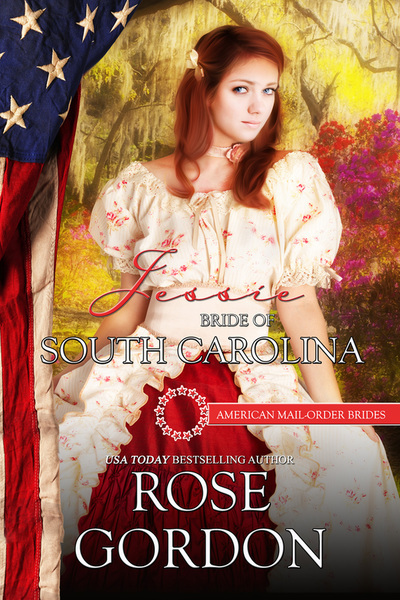 Well…leave it to Carolina the heroine of His Yankee Bride and her forward approach to everything (and not backing down for anything) to be a finalist in the Colorado’s Romance Writers Award of Excellence! This is one of the few contests that’s open to any published book, no matter who the publisher. I scanned the list and only recognized three or four finalists out of the 45+ in all categories that weren’t with a traditional publishing house. So, even if I don’t win my category (winners are announced June 8), for me, just being a finalist in such a well-known contest with some of these other very prominent names is very humbling and exciting all at the same time! 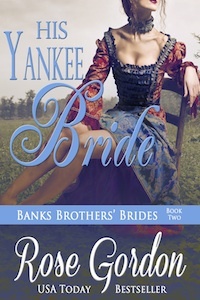 So in honor of that…I think another chance to win a signed copy or two of His Yankee Bride is in order. This time, instead of leaving comments (which you’re welcome to do, if you’d like) if you will share on Facebook about my current sale at Amazon for Jilted being at $.99 (yes, this was supposed to end on Monday but despite my efforts to change the price back, it’s stuck… So feel free to take advantage and buy a copy for yourself, a friend, etc.) Please go to this page and share the top post about this sale. I can only keep track of shares done from my original post, if you share it directly off of Amazon I have no way of knowing seeing who you are and adding you to the list of entries. I’ll randomly pick one winner for every 30 shares the status gets between now and Friday at 6pm CST so feel free to ask others to share the status, too, if you want to increase the number of prizes. 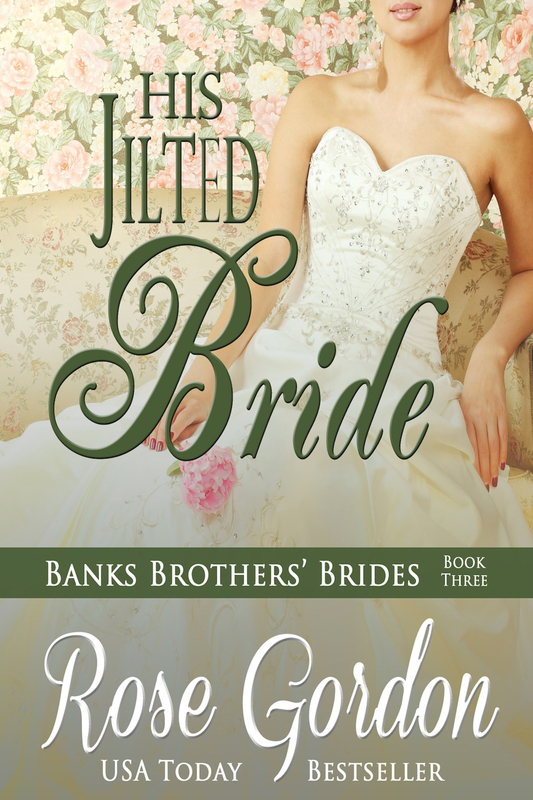 His Jilted Bride on sale for .99 until Monday! It’s her wedding day and there is no groom in sight. But why should Amelia Brice be surprised? Hiram, Lord Friar is known for having no gentleman’s honor to speak of and his jilting her on their wedding day makes it official. Elijah Banks cannot allow his childhood friend to continue to be shamed this way. It’s been almost an hour past the time when the wedding was to start, and that bounder still hasn’t shown up. Unable to sit still a second longer, Elijah does the only thing that seems logical from where he stands: kidnap the bride and marry her himself in order to escape this scandal with one far more forgiving for a young lady’s reputation. 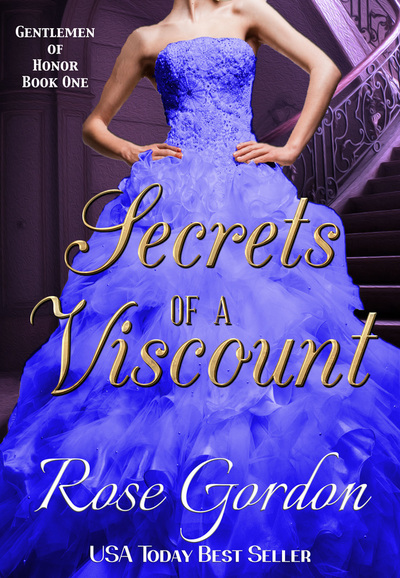 The only trouble is, she has a secret…but so does he; hers is big…but his is bigger.